Sky: Tom Burke is the Chairman and founding Director of the Environmental Think Tank E3G, and he joins me in the studio. So the country voted blue did we go green? Tom Burke: We didn’t go green. I think the coalition was a bit greener that the present government, but even in the coalition, for instance, we didn’t get our air pollution rights, so London is now facing very big fines, and what we’ve seen most recently is the Chancellor taking a shotgun to David Cameron’s husky. Sky: That’s a wonderful image there. The arguments that have been made, by both the office of the Prime Minister and indeed the Treasury, would be that one has to prioritise, and once the economy gets sorted out then we‘ll return to direct focus on environmental issues. Tom Burke: I think that they are making a very false choice between the economy and the environment. We are seeing pretty much all of the world’s leaders standing up in Paris on the issue of climate change, and saying that it’s not a choice between economic development and the environment, and actually the bit of the economy that the Chancellor has just wrecked, was the fastest growing bit of the economy, growing at about ten percent a year, that was the green economy. It employs four hundred and fifty thousand people, more than aerospace, automotive and chemicals together, and he has just simply taken a sledge hammer and smashed it. Sky: There will always be those that suggest that those comments, hugging a husky, and all the rest of it before the 2010 general election was all about changing the window dressing of the party, at the same time, surely we would be as close to an agreement in Paris if the UK government hadn’t thrown its weight behind it? Tom Burke: I think that right and I think that the Prime Minister was actually very well meaning on the climate, and not just for PR, and he has intervened, to my knowledge at least three times, in the process to make sure that we didn’t back-slide, but I am afraid he has been somewhat overtaken by the activities of his chancellor. 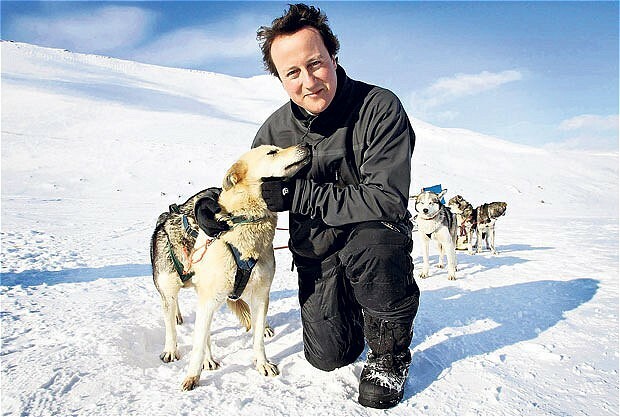 Who has not only shot his husky, but has really undermined Britain’s reputation as a leader on climate change. Sky: Does part of the responsibility not also fall on to the electorate, for not grasping that these environmental issues, climate change and the like, require a generation long response? That is the public really wanted green issues at the top of the agenda that is exactly where they would be. Tom Burke: I think that it’s always easy to call for a better electorate when you have a problem. We’ve got the electorate that we’ve got, and what really interesting is that when you poll it, it’s very clear that what it wants is action on climate change, and actually what it wants is renewable energy and energy efficiency, not nuclear and gas and the kind of things that the government has now committed itself to.